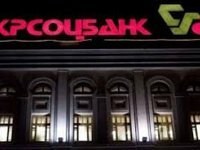 ABH Holdings S.A. (ABHH, Cyprus), which indirectly owns 100% of Alfa-Bank (Ukraine), and UniCredit Group (UCG) on October 31, 2016 announced the completion of a deal on the transfer of 99.9% in Ukrsotsbank (Kyiv), UCG's asset in Ukraine, in exchange for a minority stake of 9.9% in ABHH, according to a press release from Alfa-Bank (Ukraine). According to the report, as a result of the deal Italian banking group UniCredit Group has become a minority shareholder of ABH Holdings S.A., the investment holding company of Alfa-Group banking group with headquarters in Luxembourg. The ABHH board of directors will include Andrea Maffezzoni, Head of the Planning, Strategy and Capital Management Department in UniCredit. "We welcome our new partner UniCredit Group as a shareholder of our banking group. This partnership will allow us to step up in the development of ABHH Group in all the countries in which the Group operates, combining our expertise, years of experience and strengths of our teams," Mikhaіl Fridman, the Chairman of the Supervisory Board of international consortium Alfa-Group, said. "This deal will undoubtedly result in the emergence in Ukraine of a strong player acting on the unified platform of two banks. We are going to compete for the leadership in the Ukrainian market, first and utmost, by upgrading the level of technology, increasing efficiency, improving quality of service for the clients, as well as reducing the cost of services and expanding their range," he said. According to the press release, this deal has been carried out in full compliance with the laws and regulations. On September 8, 2016, Ukraine's Antimonopoly Committee authorized concentration of ABHH having noted the positive effects of this concentration for the whole banking sector and that the banking system of Ukraine will receive a large and highly competitive bank, which will have a positive effect on its stability. On October 12, 2016, the National Bank of Ukraine has approved the deal between ABHH and UCG welcoming the first big M&A deal in the banking industry in recent years and expecting that the combination of competencies of the two international financial groups will promote the development of the banking service market in Ukraine. Alfa-Bank was founded in 1993. ABH Holding also includes Alfa-Bank in Ukraine, Belarus, Kazakhstan, Russia and Amsterdam Trade Bank N.V. The subsidiaries of ABHH also carry out activities in Cyprus and the UK.